You may be familiar with the concept of entertaining clients outside of the office in order to guarantee their continuing patronage with a particular business. This practice is fairly common, and a lot of entrepreneurs and executives actually engage with their clients in settings that aren’t as formal as an office suite or a corporate boardroom. 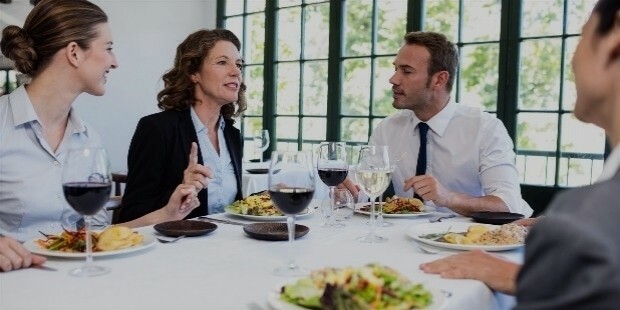 In fact, many people like to discuss important business matters while dining in a restaurant so that they could better facilitate serious topics while being sustained with food and refreshments. 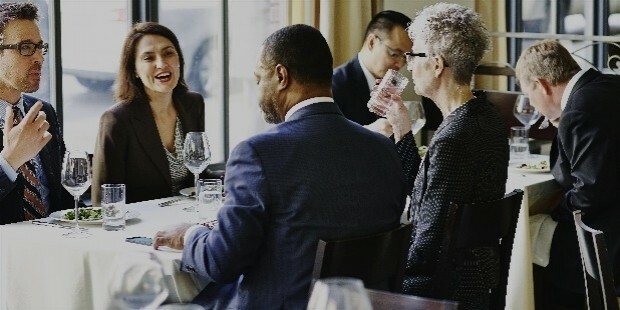 Despite the setting held in a dining establishment, the atmosphere of a business lunch or dinner is still quite serious considering the topics that are to be discussed between the client and the vendor. Furthermore, it’s important for the business agent to ensure that the needs of the client are met while still keeping in line with standard company protocols. In your case, clinching a deal with a client over a meal is easy enough as long as you know exactly what to do in this type of situation, and there are certain rules you must follow. 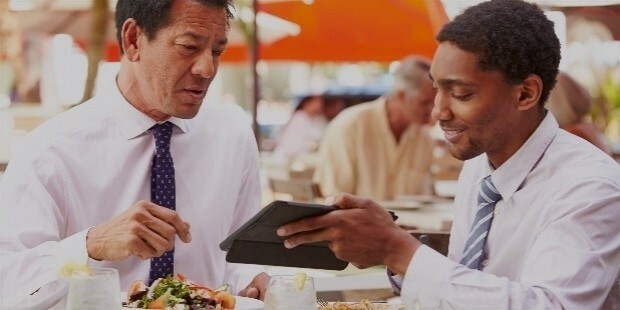 If you haven’t yet experienced a proper business lunch or dinner meeting, then you should be aware that your actions in this scenario are slightly different than how you would act in a normal meeting with a client in an office setting. 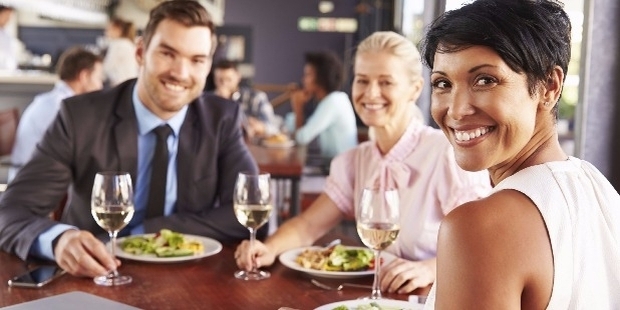 Fortunately, the details listed in this guide should help you navigate the ins and outs of what you need to do in order to ensure that you and your client will have a good time dining out while still doing good business with each other. Look to the information featured below so you could take notes on the subject. If you want to make a good impression on your client for your business lunch or dinner meeting, then you need to pull out all the stops by booking reservations at the best restaurant in your area. Planning your business meeting outside of the office takes a considerable amount of flair and preparation, because it’s easier for you to sway clients in your favor if they are being treated to a fancy meal. And it’s your responsibility to ensure that they should get the best dining experience that money can buy. It’s important to inform clients well ahead of time if they have no objections with meeting in a restaurant, and if they agree, then that’s when you need to get the wheels turning. You must scout for potential locations online and always pay attention to crucial aspects such as the menu offerings, operating hours, price range, and of course. customer reviews. Once you’ve found the perfect location, book a table immediately and make sure to pass along the reservation details to your client who will need that information beforehand. Aside from preparing where you’ll be dining with the client, you should also be mindful about the things you’ll be discussing with them. Of course, it would be rather awkward if you’re just going to sit there and eat and there’s nothing but an air of pointed silence between you and your client. Don’t forget that you’re not just meeting your client to enjoy a delicious meal, but you’re also expected to discuss important business matters that you and your patron have to go over so that your relationship will hopefully be sustained. Depending on what you’ll be talking about, you should come prepared by bringing along some pertinent documents like contracts if you need a finalize an important trading deal. Or perhaps you might be bringing your mobile device such as a tablet so you’ll be able to show some essential visual information like videos or slideshows. And as a rule of thumb, it’s ideal to talk business before the meal is served and then review the details of what transpired in the meeting after the meal has been consumed, so please keep that in mind. 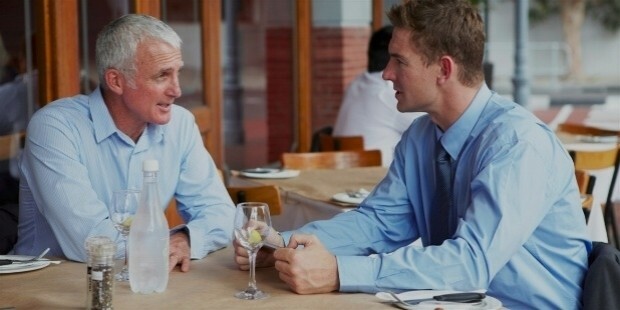 There may be a tendency for clients to let their guards down in a business lunch or dinner due to the fact that they aren’t in the trappings of a corporate office. Being in a restaurant often gives people the impression that they can speak freely in a more casual manner than they would if they were in a formal office environment. And people will feel compelled to talk about things that won’t be related to business, so you need to take charge of the situation and prevent the conversation from wandering over to personal subject matters. 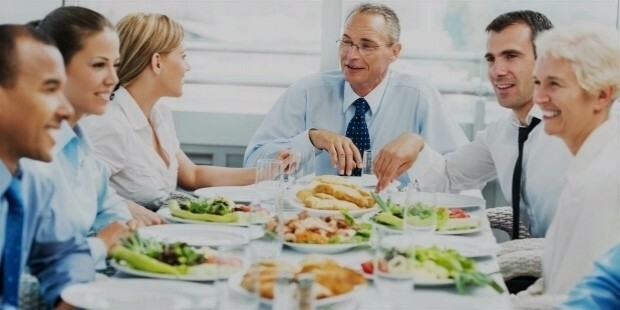 The probability of personal topics being discussed during a business lunch or dinner is when the food is being consumed, so once you and our client are digging into your meal, you should do preemptive measures by controlling the conversation and talk about business-related matters. Of course, it would seem rude to brush off questions from your client if they ask about your personal life, but what you can do is to keep on smiling and provide vague yet truthful answers and then segueing the discussion back into safer waters. Now comes the tricky part of any business meeting which is the presence of alcohol. Of course, unspoken tradition dictates that a successful business deal or meeting between two or more parties should celebrate the occasion with a toast and a round of drinks. But you are strongly advised to stay away from imbibing any alcohol, particularly since you’re handling a business meeting, which means you’re technically still on the clock working under the employ of your company, so you have to keep a level head on at all times. The consumption of alcoholic drinks—whether it’s wine, champagne, or beer—during the meal might loosen you up, and not in a good way. People tend to be quite uninhibited when alcohol enters their system, and you can’t afford to act tipsy or unruly in front of your clients. Always stick to water or non-alcoholic drinks whenever you’re out for a business lunch or dinner, and should the client insist that you drink alcohol with them, keep it strictly to one glass only so you’ll avoid the potential pitfalls of acting strange under the influence. It’s imperative that you maintain an aura of professionalism throughout your meeting, and this attitude should extend once you and your client are ready to eat and drink to your heart’s content. Remember to always mind your table manners when eating in the presence of a client because you need to show them that you possess a strong sense of etiquette and refinement in and out of the office. This will give them a positive impression that you are someone who takes considerable pride in their personal cleanliness and deportment. Furthermore, this is a perfect opportunity for you to showcase your etiquette and set a good example to your client without needing to say things out loud. For instance, you can still keep a conversation going while you’re eating but only when your mouth is empty of food. Other good examples you could show to your client would be to always keep your elbows off the table when eating, as well as knowing where to place the silverware and napkins on the table once you’re done eating everything that you’ve ordered. With the rule of avoiding personal topics in mind, it’s essential that your client should not be bored out of their minds when they’re talking with you over the meal. People like to engage in interesting dialogue, so you must be quick on your feet when conversing with someone who is doing business with the company you are working for. Listening is vital, because when you are actively paying attention to what your client is saying to you, you’ll be able to come up with the appropriate responses and keep the conversation flowing. A good trick you can apply in order to sustain your discussion is to exchange ideas or opinions with your client in relation to the business. Ask them what they think about your current policies and whether they have some ideas for potential improvement. This is an ideal strategy because you’re still technically keeping things related to business, and most importantly, you’re making your client feel involved with your company. This gives them the perception that you truly value their opinions and that you think highly of them. Now comes the final element of the meeting when all is said and done: paying for the whole meal. No matter how much the entire lunch or dinner costs, you should be the one to pick up the tab so that your client won’t have to worry about anything. Even if your client insists on paying for the meal or offering to split the cost with you, you must be firm in your assertion that the meal is on you. Remember to give your thanks to them for attending the meeting and never forget to shower them with sincere compliments and well wishes. Unless the company has given you funds to take the client out for a business lunch or dinner, then you should be prepared to cover the tab and have the meal reimbursed to you afterwards. In this case, you have to ask the restaurant to provide you with an official receipt so you can present it to the accounts department of your company and they’ll be able to process your reimbursement. Keep a copy of the receipt so that you’ll have your own record of the expenses you made while taking a client out for a business meeting.